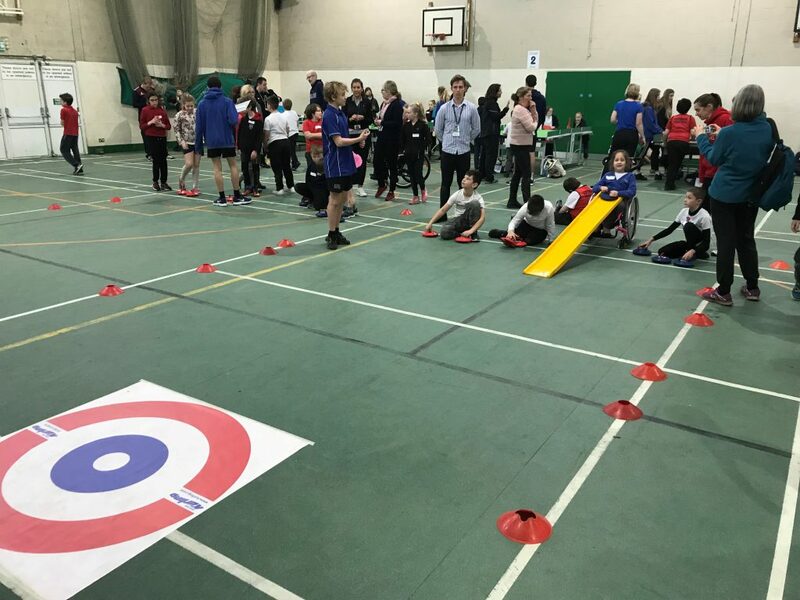 The partnerships annual Primary Adapted Multi Sport Competition took place on Wednesday 23rd January with children from across the Cambridge & South Cambs School Sports Partnerships taking part. 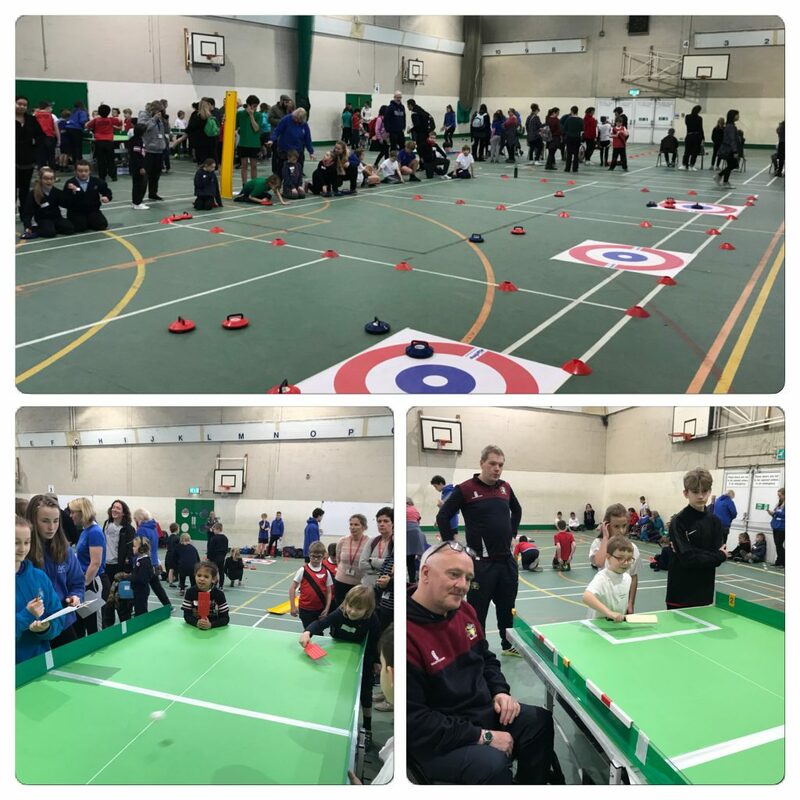 The morning was full of activity and excitement with children competing in pairs as they rotated around four different sports: Polybat, Boccia, Table Cricket and New Age Kurling. 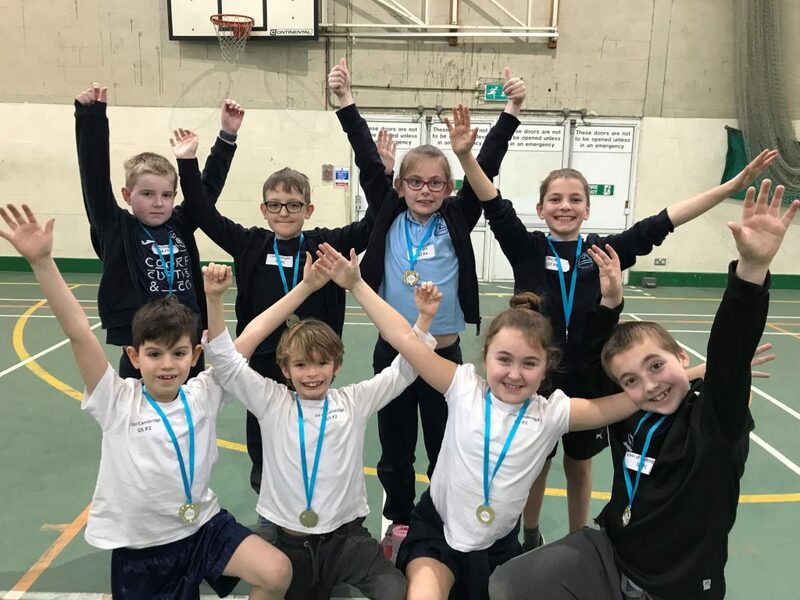 For many of the children this was their first experience of representing their school and taking part in competitive sport so the event was very much about the children having an enjoyable experience and trying out some new sports, with an element of competition added in. Children played matches and scored points on each activity and these were added together to give each pair a total and determine the winners. A record number of 94 children with additional needs, which could be physical, learning, sensory, or a combination of these took part in the event which was hosted at Impington Village College. A group of sports leaders from the college helped to run the activities and score the matches which included children from seven South Cambs schools; Bar Hill, Cottenham, Waterbeach, Willingham and the University of Cambridge Primary Schools and Histon & Impington and Linton Heights Junior Schools. The winning children celebrate their success! These four pairs will now join together to represent South Cambs SSP and compete as a team at the Cambridgeshire & Peterborough School Games Summer Festival on Thursday 27th June, we wish them the best of luck!